We’re back! THE 5TH ANNUAL JAMDOWN! JOIN US AS WE CELEBRATE BOB MARLEY’S 74th Birthday! FREE ADMISSION IN THE PUB! ALL AGES! We’ll be paying tribute to the king of reggae with a collection of Marley hits from his days as a rude boy to years as a rastaman! Strictly roots! Music all night! 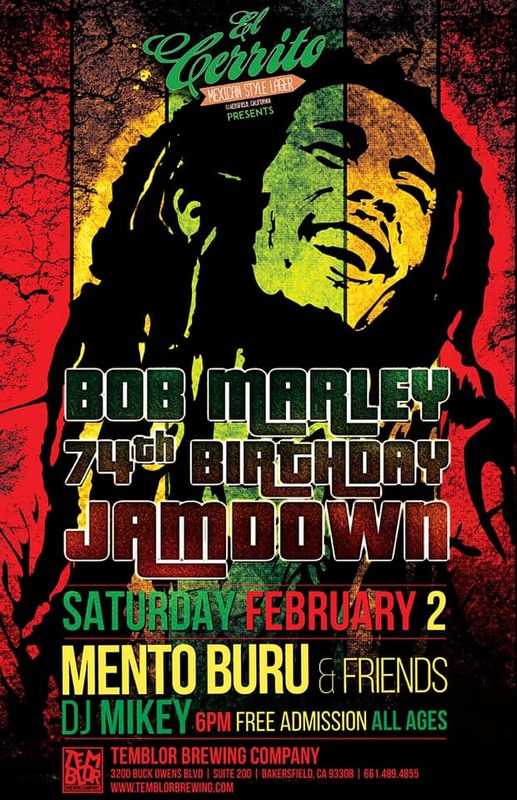 Special all-Marley reggae & ska classics set by Mento Buru! Will pack out! See you there! Previous Taste of Tuscany Big day Giveaway! Next Feb. First Friday Double Feature!